Korea's most popular casual Toast brand has finally went beyond just being in KLIA2. Famous for their custom-toast and coffee, Isaac Toast is the leading brand in Korea with over 800 outlets nationwide. So if you're looking for some of the best toasts in town, you might want to give them a try. Everything is made fresh to order, where you can watch them grill your toast right in front of you. With over 9 items to choose from, you're sure to find one that you'll like. Grilling on the egg patty - which is shaped perfectly square to fit their toast. Everything is made to order, with the freshest ingredients possible here in Malaysia. Custom-made white bread, cheddar cheese and fluffy eggs. What's really unique is the special secret sauce that comes directly from Korea, that gives it that added depth of flavour. On the other side, there's where all the meats are grilled - mainly beef bacon and chicken ham. Some of their most popular choices. I went for their newest item - Kimchi Toast. Sure it may sound weird, but I do enjoy the added acidic flavour that cuts through all that richness. The perfectly crispy toast with creamy soft egg, cheese and ham works well in balancing the taste of kimchi. To be fair, it really is quite full. 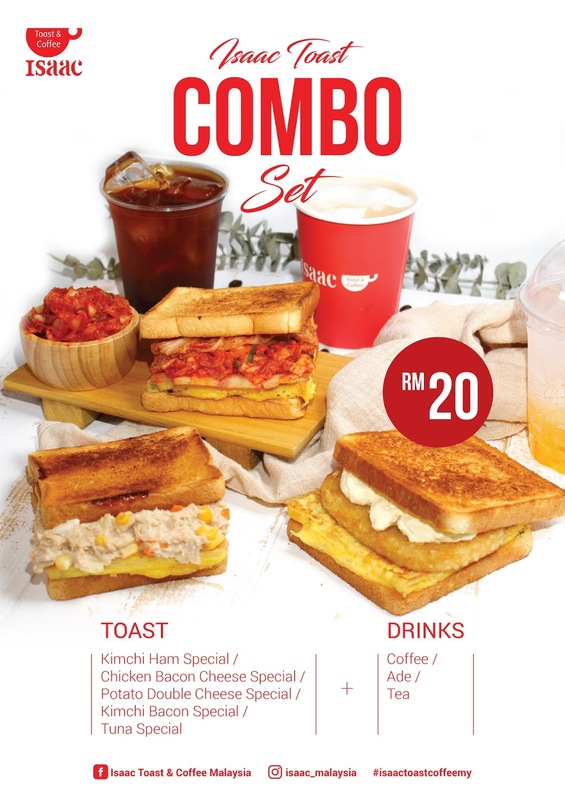 For added value, their RM20 Combo Set comes with a selection of Signature Toasts with a side of coffee, tea or soda. Oh, be sure to try out some of their coffee as well. I liked my Iced Americano, which I found had a pretty strong body and depth. Overall, if you're looking for a quick snack around 1 Utama, either before a movie or something, Isaac Toast may just offer that balance of not being too full, nor too empty. 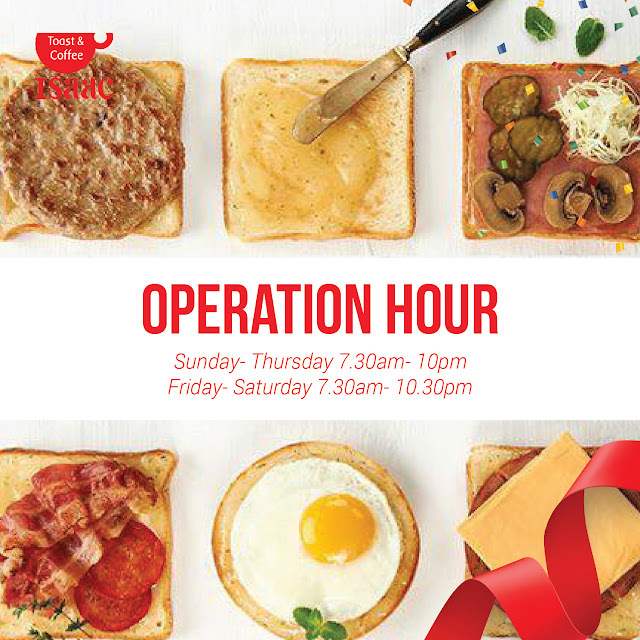 They're also offering a great deal for breakfast - RM10 for a toast and a drink. If you're still in the mood for some toast after breakfast, their RM20 Combo Set is definitely a great choice. 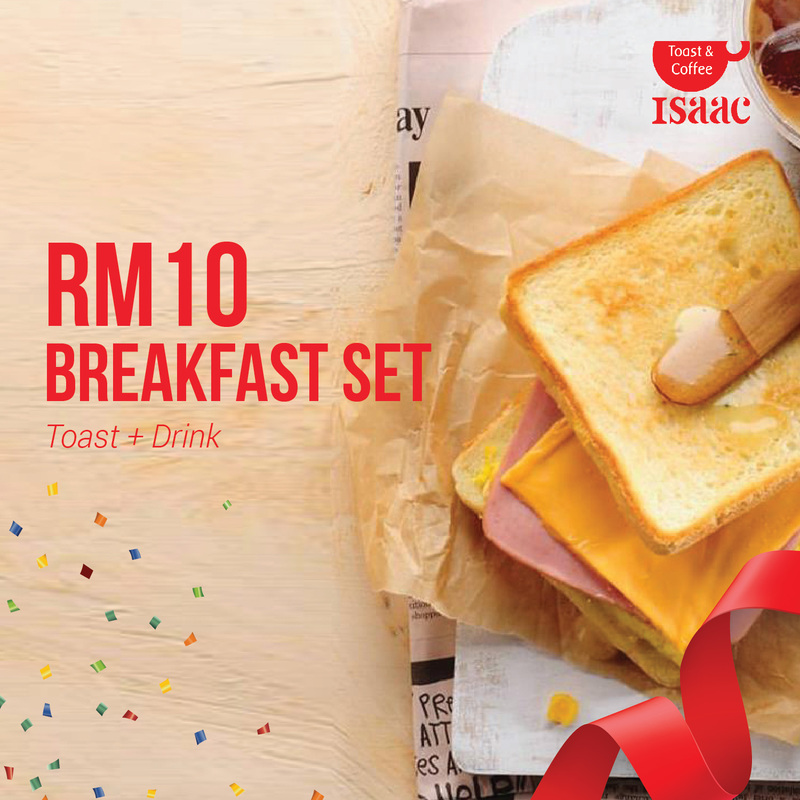 It comes with a selection of Isaac Toast's Signature toast with a side of coffee, tea or soda. LGK 113a, 1Utama Shopping Centre, Bandar Utama, 47800 Petaling Jaya, Selangor.